Healthcare Student? Join the union that gets it right! UNISON is the largest trade union representing healthcare students. We are the union that delivers for members – whether it’s a bigger pay rise, more money for new starters in the NHS or getting people to the rate for the job quicker. 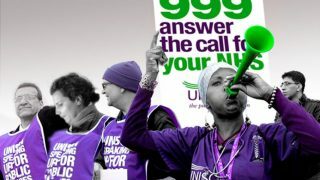 UNISON is at the forefront of making life better for NHS staff. We are the experts on NHS pay and the NHS pay structure – after all we negotiated it. We understand the importance of getting good deals done – something that will benefit you when you qualify – and of giving members accurate advice about their pay and other terms and conditions. 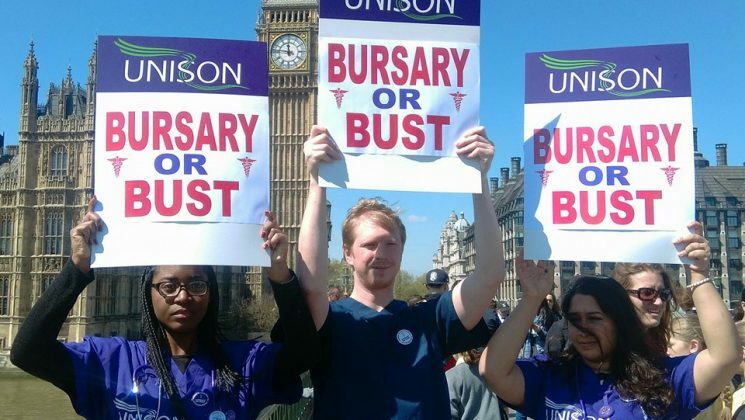 We are dedicated to campaigning for a better deal for all healthcare students and we run campaigns around areas like bursaries for nursing, a living wage for students and quality clinical placements. 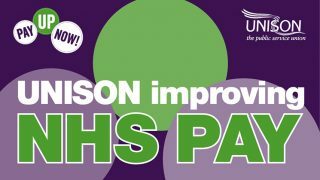 Join UNISON as a healthcare student today! We also understand the importance of giving student members a good deal. That’s why, when you join UNISON, you get all the benefits of full membership, including contingent professional indemnity insurance. Plus great information and advice to help you with your studies and your practice placements. You have access to our network of properly trained and well-informed representatives who know what is happening about pay and all the other issues NHS staff face. 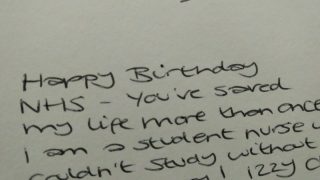 They also understand the demands of being a student in the NHS and are there with help and advice when you need it. And UNISON is not just about help while you are studying or on your placement. We have a range of services that help you outside of work too, including debt advice and special deals and discounts for UNISON members and their families. You get all this for £10 a year while you are studying – that’s £10 a year to be part of the largest union in the NHS. The union that is leading the way in getting a better deal for NHS staff and the union you will want to belong to as you study and when you qualify. 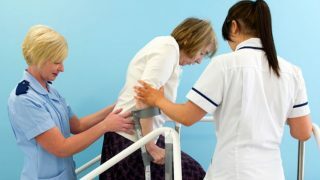 UNISON has vast experience in representing students while they work as healthcare assistants throughout their training. As the future of the NHS, healthcare students often need guidance. UNISON provides assistance and advice for our members throughout their training. Even before you qualify, UNISON is there for you – standing up for students to make sure you get the most out of your training and placement. Join the union that is getting it right for members, for students and for the NHS and the people it cares for. 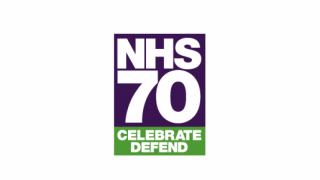 The Big NHS Birthday Bash!